Having blogged about Robert Frank yesterday, I figured that today I could blog about one of the other photographers that was on show at the TEFAF, Eduard Steichen. Seeing how I am still a little bit bored (read: ill). Eduard Steichen was the curator of the most awesome photo exhibitions ever, The Family of Man. Damn, I wish I could have attended that exhibition instead of just owning the book. Although I totally would have bought the book at the exhibition as well. The Family of Man was created by Steichen en Alfred Stieglitz, two men I admire for their photography but also for creating that exhibition, for starting Salon 291 and Camera Works. It must have been so exciting to be at the forefront of photography during time when it was still new and not everybody and their dog was snapping pics (not that I mind dogs with camera’s). 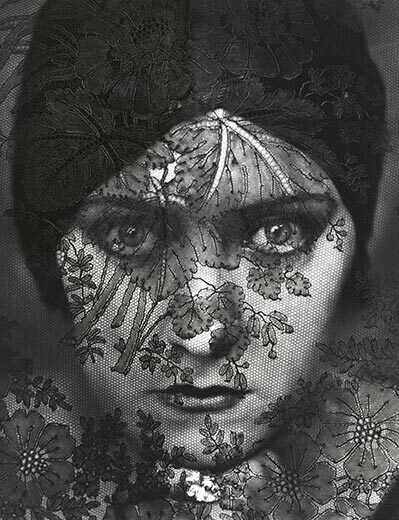 Steichen was born in Luxembourg on March 27, 1879. The family moved to the US when he was 3 years old, originally settling in Chicago but they relocated to Milwaukee a couple of years later. He became interested in photography during his 4 year apprenticeship at a lithography studio and soon formed the Milwaukee Art Students League with a bunch of friends, hiring well-known photographers to give lectures. Steichen met Alfred Stieglitz in 1901 and that was the start of a very fruitful relationship. Steichen became the most featured photographer in Stieglitz’s Camera Works and he also created the logo for it as well as a custom typeface. You may well know Stieglitz, btw, from his most famous photograph, The Steerage. 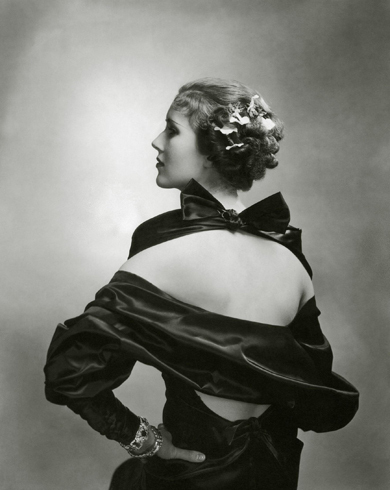 Steichen is the creator of what we now know as “fashion photography” after he accepted a dare by the publisher of Jardin des Modes and La Gazette du Bon Ton, Lucien Vogel, to promote fashion as a fine art by the use of photography. Now how awesome is that? Edward (as he was now known) photographed garments by couturier Paul Piret and these images were subsequently published in Art et Décoration. 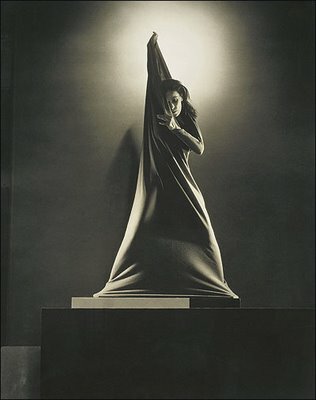 According to Jesse Alexander, this is “now considered to be the first ever modern fashion photography shoot. That is, photographing the garments in such a way as to convey a sense of their physical quality as well as their formal appearance, as opposed to simply illustrating the object.” Cool. Cool. He later became a photographer for Vogue and Vanity Fair from 1923-1938. Vogue btw was only founded by Arthur Baldwin Turnure in 1892 but I assume that fashion was shown through illustrations. As for his own photography… what I love is his sense of light, and there’s a delicate sensuality to his photos as well as a strength and some glamour. To me, there’s also an element of graphic design to his work with strong lines made by the body, light/shadows or his use of the surroundings. And even if the photos are dated by means of the clothing people are wearing, his work is not old-fashioned and still very inspirational. Right now I am listening to the new Aleila Diane & Wild Divine album as well as Raphael Saadiq’s new one, Stone Rollin’. She seems cool to photograph. As you know, I have a long list of people I’d love to photograph. She is one of them as is Cat Power, Mark Lanegan, Jon Spencer, Pierre Bokma, the one hot guy from Andrew James and if she was still alive, Billie Holiday. Ag there are so many..
Just do whatever you want, then get it into a magazine later. And get paid for it so you actually can do the next portrait session.. I *have* to approach more magazines. That being said, I submitted work to an online magazine yesterday. Not holding my breath which doesn’t mean I wouldn’t love to be published there because I do. Wouldn’t submit work otherwise but ja, guess you become more realistic after knock-back #57. Which isn’t true ’cause every time I send my work anywhere a part of me becomes nervous and jittery, hoping for that email to pop in saying cool, we’ll take it. Oh well.. April is going to be a good month that’s for sure with lots of work lined up, a friend from Cape Town visiting me and well, hell, spring on its way. All the images are by Edward Steichen except the 3rd one which is a photo from The Family of Man and was taken by Unosuke Gamou in Japan. The first one by Steichen is called Beauty Primer and was taken in 1934, the second one is a portrait of Gloria Swanson, the third one is a portrait of Mary Heberden in 1935 and I don’t know what the last two are called. I do know the last one was also taken in 1935. This entry was posted in exhibition, photography, Swimming Upstream, Uncategorized and tagged Alfred Stieglitz, Beauty Primer, Camera Works, Edward Steichen, Gloria Swanson, if only, inspirational, photography, The Family of Man. Bookmark the permalink. me too, obviously:) Need to get SO much better… good thing I like learning:) Thanks for commenting! 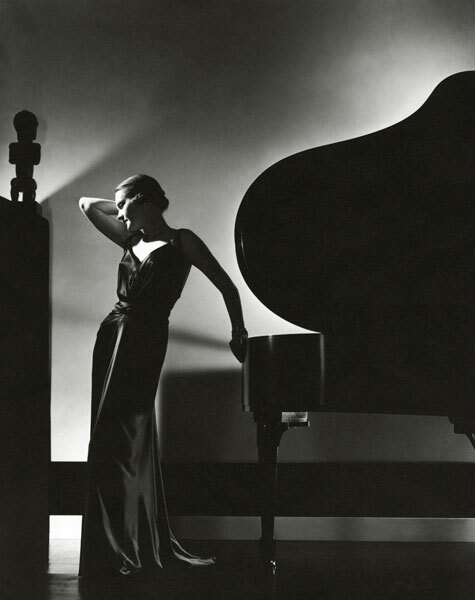 1st time on your site – great write-up about Steichen. I’m studying photography at Academy of Arts University online program. 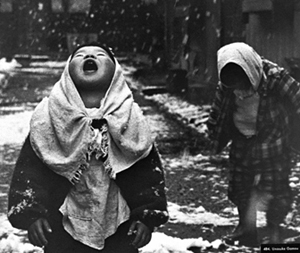 My instructor swears all you need to learn about photography is evident with Weston’s work. Hi Sonia, thanks for taking the time to have a look at my blog. And Weston is indeed a master:) Hope your studies are going well and would love to see what you do some day!